Export to Japan is the web's richest resource for companies looking to trade in the Japanese market. 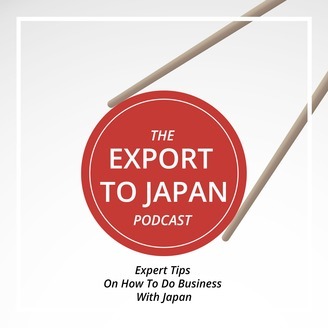 In the Export to Japan podcast, we give you a clear picture of what is happening in the Japanese market by bringing you conversations with people who are at the heart of the Japanese business community. In this episode, we take a close look at how can foreign exporters sell to Japanese buyers and how to avoid fatal business pitfalls. Our guest, Dr. Greg Story, author of Japan Sales Mastery, is a well-known leader in academia, consulting, investments, trade representation, international diplomacy, retail banking and people development. Greg has lived in Tokyo for 28 years and joined Dale Carnegie Training Japan as president in October 2010. His book Japan Sales Mastery is the product of 30 years in the trenches, experiencing real-world pain, frustration, disappointment, and elation selling to Japanese buyers. 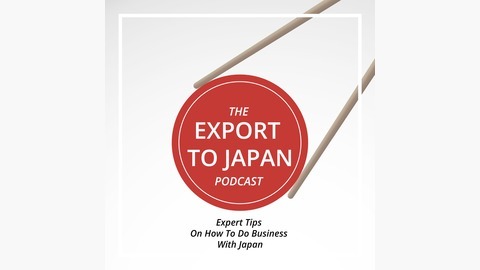 Listen in to some valuable advice on how to choose distributors and sales partners in Japan, how to work with Japanese consumers and how to navigate the Japanese mindset and business culture. Japan Sales Mastery is available on Amazon: https://www.amazon.com/Japan-Sales-Mastery-Lessons-Thirty/dp/4909535004 (not affiliated).